This site contains information and opinions regarding various topics that are of interest to the writer. So, thank you for reading and please comment if you want to. The first ever Avatar episode that I saw was "Lake Laogai" from the Book of Earth. One boring afternoon, I was flipping through cable channels when I settled into this cartoon show in Nickelodeon. I thought it was just an ordinary kid's show, yes it is (a kid's show) but in a higher level. The first thing that amazed me was the fighting scenes, particulary, the cute girl and the little boy's ability to control earth in a cool (and sometimes synchronized) fashion. The sad part here is that there's also death involved (yeah, i believe he died). After that, I started searching for episodes on the web. "Bending" is the term. I learned that the earth bender is blind, and her name is Toph. 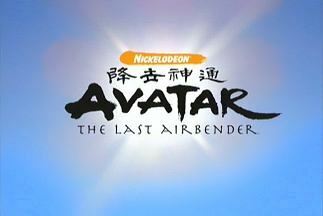 Aang is the latest Avatar - one who can control all 4 elements (*insert the intro here*). He's traveling with Sokka and his sister Katara to find his teachers for the other 3 elements. The purpose of this is to defeat the Fire lord (or the Phoenix King? hmmm) who's controlling the Fire Nation army bringing havoc to the other 3 nations, even fully extinguishing one of them -the Air Nomads - the Avatar's people. Very bad and crazy, right? I was kind of late but there's still time to catch up. The fans were still anticipating for the release Book 3: Fire (which is not really a book, but there's also a book version). Book 3 came in and I was already joining the Avatards who were waiting for the weekly episode. Excellent. During the next months, when it crossed my brains, I would search about the progress of the movie. The casting (you all know it) was disappointing from the beginning. I even joined a Facebook group "Don't Whitewash the Avatar Cast." I know there's so many reviews scattered on the web about the Last Airbender movie. It is currently rated 8% on RottenTomatoes with a lot of Shyamalan bashing. Well for me, I'm still waiting for it, it's not yet available in the Philippines. I'm already disappointed but I still want to see it. I'm not a big fan of colognes and perfumes, but i do appreciate fragrant and nostril-friendly scents. Back in elementary days, I liked sweet flowery scents that came in cute pink bottles. In high school, I enjoyed the smell of fresh citrus fruits. 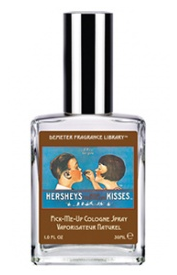 Then, in college, i showered myself with baby cologne scents. I got back here. I was up to a new start in my own domain when somebody whose learning to hack a site, hacked my site. Well, you got what you want, happy now? - I just updated my Wordpress. Writing, yes, i just found my like for writing, i mean blogging again. And i'm planning that this site will be an info blog, because i don't like blogging about myself much. I am also looking for a good host, one that's hacker-safe? any suggestions, I might just get a domain name for this one, i'm not liking meiaonline anymore. Have you been hacked before? Hmmm. Let's see. I'm starting to build up links for boatsong. It's still not yet ready though. It will officially be an art(?) blog, coming sooner. Happy <3 Day! There are many nice movies and television shows out there and i would also like to watch them but doesn't have time for them. It would be nice to have something like a direct TV that offers family shows, movies, Sports and others. Directtv can even be more affordable than Cable. With Directtv, you can choose the package that you want, just the programs that you are interested in. We know that we don't really need and watch every channel in cable tv. It is home entertainment and information in a cheaper package. hehehe, many things happened and Christmas na! Didn't have much time to visit blogs and to do some sponsored posts (there were offers, sayang... tsk) but it's ok. hehe. I hope to learn more things next year. I'm getting to know Joomla! (not referring to anyone, but the cms lol)more. I miss Wordpress too. I want to see 2.7. A graphics tablet would be a good gift. That's all i ever wanted since i joined deviantart last 05. (Not really ALL - i wantED a scanner too for my drawings.) hehehe. HI to you (you reading this), Merry Christmas, God bless you.